Schitt's Creek fans: Prepare to say goodbye to the Rose family. In a statement on Daniel's social media accounts Thursday, they revealed the beloved half-hour show will wrap up for good at the end of its sixth season. The 14 final episodes are due to begin in January 2020 on CBC in Canada and Pop TV in the U.S. It's a decision the Levys reached a long time ago and is one they're excited about, they stressed in interviews with The Canadian Press, noting they've envisioned this final chapter from the beginning. "I've always known how the show was going to end," Daniel, who is also the showrunner, said by phone from Toronto. "I've always seen every season of our show as a chapter in the story of this family's life, and we have reached our inevitable conclusion in that story, so it was the right time and it was something that I had been building to for five seasons." The Levys also play father and son on the sitcom, alongside Catherine O'Hara as the mother and Annie Murphy as the daughter of the Rose family, who lost their fortune due to a shady business manager and now live in a motel in a small town the dad bought as a joke years ago. 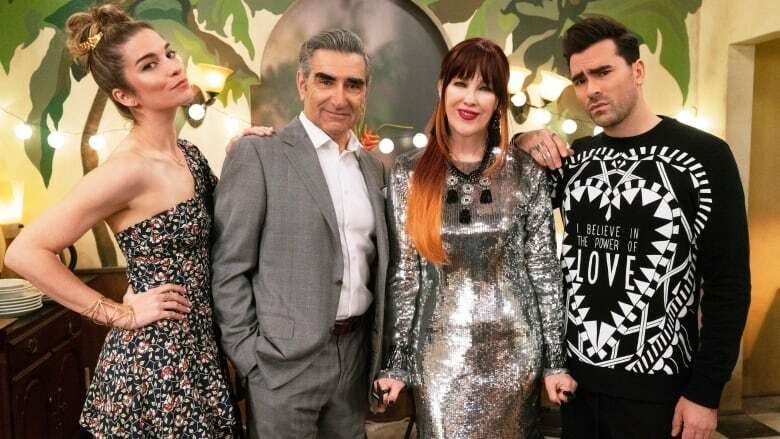 Each character has carved out a niche in the town over the years, providing nuance and a joyful spirit that has helped Schitt's Creek grow in popularity from season to season. 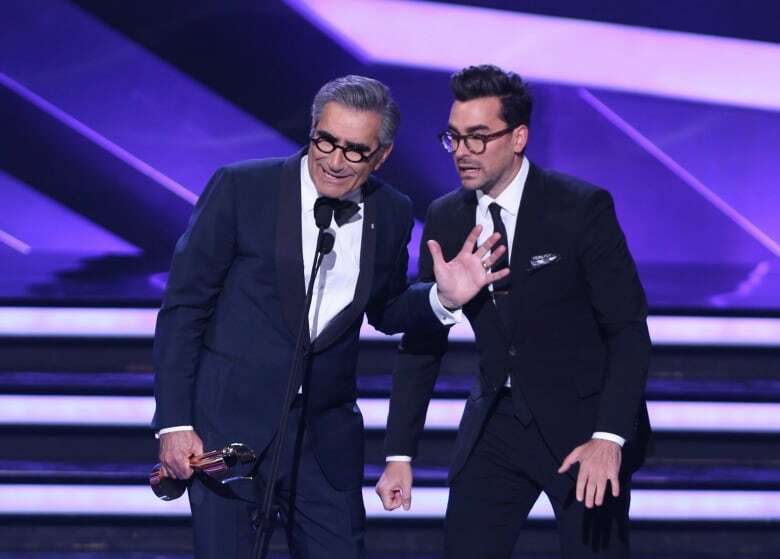 "It's really been quite unbelievable," said Eugene Levy, a comedy treasure and SCTV alum who was born in Hamilton. "Having a show like Schitt's Creek in the autumn of my years, so to speak, is something not a lot of people get to experience." The show has also spawned a live tour with sold-out audiences in Canada and the U.S., won several Canadian Screen Awards and was up for a Critics' Choice trophy in January. "I'm sure people will be questioning, 'Why walk away when so many people are watching it?"' Toronto-born Daniel said, noting he tries not to pay attention to the show's buzz because he doesn't want it to affect the creative process. "But the reality is, we've always been about the show, and I hope that when people watch this last season, they'll understand that we did nothing but respect that experience." Levy said he had a feeling around Season 3 that the story of the Roses was halfway through and would be done come Season 6. His dad was fully supportive and they've been carefully constructing the storylines to reach that conclusion ever since. "We're going out on a nice, natural high and never really wanted to risk taking it any further into what I might call the law of diminishing returns," said Eugene. Executives at CBC and Pop say they're sad the show is ending, but admire the commitment of the Levys to wrap it up on their own terms. "It's creative genius, and who am I to mess with creative genius?" said Sally Catto, general manager of programming for CBC English Television, noting the show has grown the public broadcaster's audience, particularly its younger demographic. "It really also became an anchor for a new era of [scripted] comedy at the CBC," she added. "I truly think it will be, always, one of the greatest comedies ever created in this country." Pop channel president Brad Schwartz, who also worked with Daniel when he was at MTV Canada, said it's their highest-rated original series and has helped define the network. "It's devastating," he said of the decision to end it. "It's one of the most proud pieces of content I've ever been involved with. "You don't get shows like this very often in a career." Daniel said he hopes the final season will provide closure and "tell the funniest, the sweetest, the most joyful episodes of our show we've ever told." And he isn't ruling out returning to the characters one day. "I would never say that this is the end. If we get an idea somewhere down the line that feels fresh and necessary and relevant, I would absolutely entertain any form of revisiting these lovely, strange characters."